Garden wall art can make the outdoors snug. And so can vertical gardens. I have been applying all types of garden wall art to my communal outdoor area in the last 12 months. The main ‘art’ is the vertical gardens. Everyone loves them and people often comment how the living walls make the space more cosy. We have limited opportunity to make major changes to our garden therefore we usually have a cheapish ad-hoc approach . The other day I placed a garden clock on the shed wall. Instantly the outdoor space became just that little bit more – snuggish. 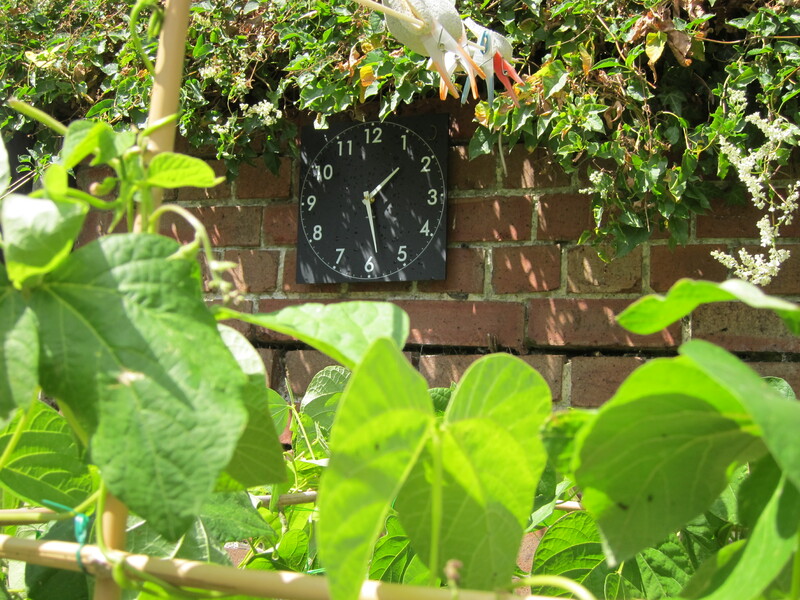 The clock is approx A4 size and it works really well in such a large scale garden. It helps to break the space into more living room scale size. Previous articleDeer heads (and other species) adorn interior and garden walls. Retro hunting art? Next articleGarden Ornaments? Garden Art or Tackville. 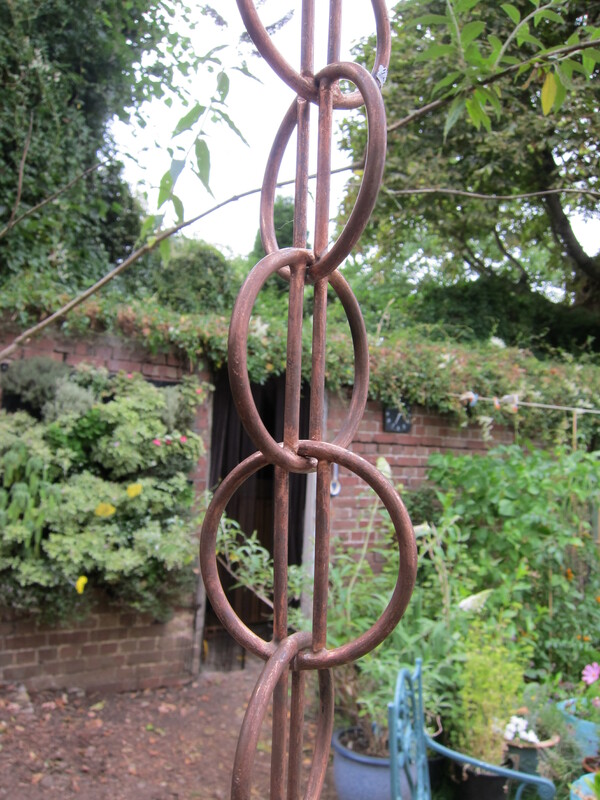 For godsake give me Garden Beet’s hanging spinner thingymebob.